In this sponsored post, AT&T shares how companies can benefit from text-enabling their 1-800 and landline numbers. 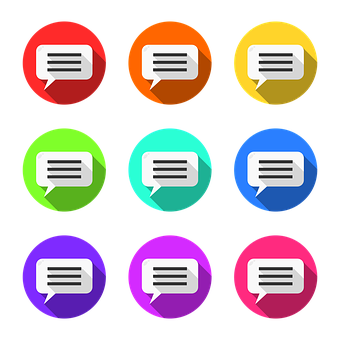 Text messaging has become a societal norm, today perhaps the most frequent way friends, family, and colleagues keep in touch with one another. Texting, you might say, has become second nature -- and therein lies a dilemma. Many people today expect the ability to send text messages to any phone number, even when those aren't mobile. In fact, network traffic analysis reveals that people send 150 million text messages a day to landline numbers that aren't able to handle them. With modern, cloud-based technology, that's an unnecessary communications black hole. Text enablement provides a way to patch that hole by adding messaging functionality to landline and 1-800 numbers already in use for voice calls. A customer can still pick up a phone and call, but should he or she decide to text to that number instead, the cloud-based business texting platform delivers the message to the customer's connected device. That might be a desktop, laptop, tablet, or even mobile phone, for example. Companies that text enable their business lines report benefits such as improved engagement, reduced costs, and impressed customers. Simply put, customers expect the ability to send and receive text messages rather than being forced to call, or email, and they appreciate companies the recognize this. Customer support, as well as appointment scheduling, are popular use cases among those companies that have already text-enabled their 1-800 and landline numbers. However, text-enabling phone numbers isn't limited to customer service operations. Sales calls, account management, and order status notifications are among potential use cases. Companies that stick within their voice calling and email comfort zones are out of touch with today's messaging-based reality. Their customers will notice -- and not in a good way. Get in the know on business texting in the AT&T Market Survey report, "Connecting with text: The shift to landline and toll-free business texting." Read now!